4K will be a hot button on the NAB 2015 exhibition floor. Production companies — already faced with having to do 4K field production for hungry clients — are frustrated by the lack of 4K equipment and are heading to NAB with high expectations for professional gear from equipment manufacturers. 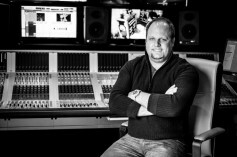 Dean Lyon, CEO of Splinter Studios in Ft. Lauderdale, Florida, a visual effects and computer graphics company, said even though he now works with a RED Epic camera with a 6K Dragon sensor, he’s not convinced the image quality is there yet. Dean Lyon, CEO of Splinter Studios in Ft. Lauderdale, Florida, a visual effects and computer graphics company, says he’s not convinced the image quality is there yet. The frustration for those doing real-world production is that clients are already booking 4K jobs and the necessary tools to do the job in a fully professional way are not available. “Right now, if you approach Netflix or Amazon with an original idea and they buy the project, they want their masters delivered in 4K,” said Zimbaldi. TNDV, Dugger said, has done ten high-profile projects in the past year using RED or Canon 4K field cameras with a hodgepodge of 1080 support gear. “We have used a Red Epic or a Canon C500 and built a fly pack or truck around them,” he said. “But those are not a real production cameras. There are no tally lights, no shading, no intercom. I want to know what’s going on with 4K equipment at NAB. Dugger said all that really exists in his production world of video trucks is the 4K image sensor. “We don’t even have the camera yet. Hitachi was the first to market with their 4K camera and I’ve seen it. Nic Dugger is looking for a "..real (4K) production camera.."
Zimbaldi recalls the early days of HD, when problems with the video in the field were difficult to evaluate. “A lot of mistakes were made until there was a full 1080 toolset out there to work with,” he said. “That included playback devices, recorders with multiple codecs, ways to convert signals, and different ways to display the signals through pixel scaling of different sizes. At NAB, Lyon also looking at the development of drones, which he said offer huge potential to aerial videography, and the “missing innovation” in the current generation of software for video and film production. 4K will be on most production attendees' minds as they tour NAB 2015 exhibits. Kicking the tires will be only their first step towards purchase of this new technology. 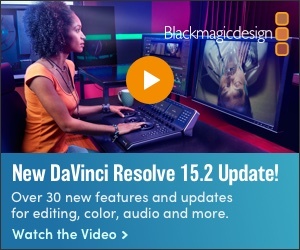 Dugger said companies like Blackmagic Design have proven 4K can be done affordably. But, he said, manufacturers need to answer some fundamental questions and do it quickly. “Like what’s the router interface going to be? Will it be fiber or Quad-Link BNC or will it be Thunderbolt stolen from Apple? Who knows? They have to make a decision because we’ve got infrastructure to build. I’ve already got a 4K truck on the books and I don’t even know what I’m putting in it yet. Let’s see, we have been delivering content at 1920x1080 but acquisition has been at 2K or 4K and now even 6K. So shouldn’t we be acquiring at 8K for 4K UHD deliverables? And let’s not forget that Super Hi-Vision 8K (aka Super Ultra HD) is just around the corner. It IS on the roadmap. There were 8K displays at CES 2015. 3D, High Frame Rate, more bits/bytes per pixel. The Resolution Never Stops!